A new, updated version of License to Work is now available. 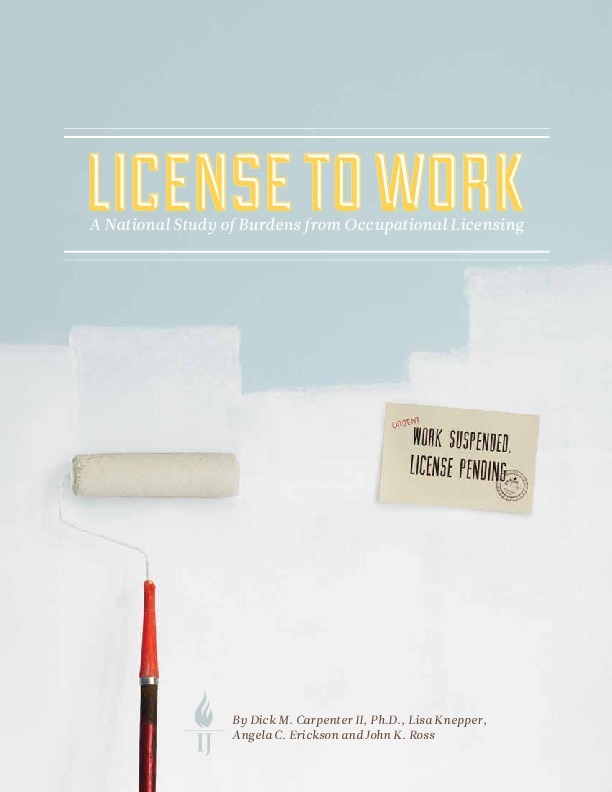 License to Work: A National Study of Burdens from Occupational Licensing is the first national study to measure how burdensome occupational licensing laws are for lower-income workers and aspiring entrepreneurs. License to Work recommends reducing or removing needless licensing barriers. The report’s rankings of states and occupations by severity of licensure burdens make it easy to compare laws and identify those most in need of reform. OUR VIEW: What exactly are we celebrating?